The most important similarity between hardrock and the music of Richard Wagner does not lie in the amount of decibels and bombast both are often associated with. Although both can reach for large means to make their point the most significant similarity for me is the way they supply in the natural need for drama in a human life. Help to build a story that give sense to ones life on earth and put things in perspective if need be. A narrative in sound that is honest towards feelings - so often dealing with uncertainty and in dire need for consolation. With music that is deliberately joyful I often feel like I’m cheated. Like the music is holding something back. Does not tell the whole story. A secret to horrific to share. Music that exposes itself as a honey trap once you surrender. 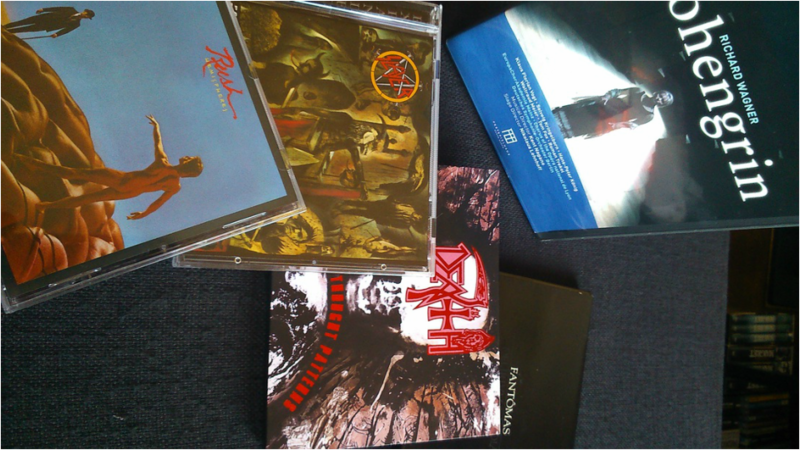 With heavy metal and music of Richard Wagner you don’t run that risk. Dark clouds of sound with real redeeming qualities for mind and soul. Music has to breath. Whether it concerns a Slayer record or a Wagner opera.